Revisit the roots of SEGA's long-running crime franchise, Yakuza, in a modern remake of the PS2 break-out hit. Explore the brooding streets of Kamurocho in search of a stolen fortune in a complete remake of PlayStation 2 classic, Yakuza - available now on PlayStation 4. Get the ultimate introduction into the dark and dangerous would of Kazuma Kiryu - the so-called Dragon of Dojima - as he returns to the city of his birth following 10 years behind bars for a crime he didn't commit. Reconnect with a world and a life moved-on - visiting with old friends and making new acquainances - as you struggle to unravel the mystery behind a vanished 10 billion yen, stolen from the vaults of the infamous Tojo clan. Released in 2006, Yakuza became a cult phenomenon - particluarly in its home country of Japan - and has since spawned five additional sequels and a prequel, Yakuza 0. 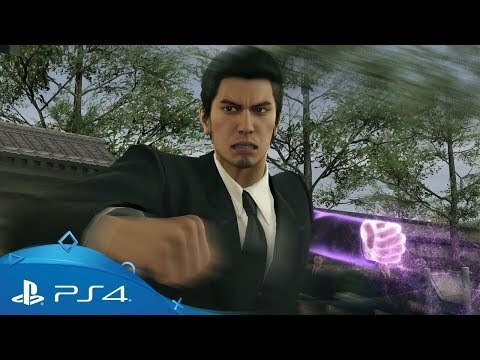 Yakuza Kiwami ('kiwami' meaning 'extreme' in Japanese) recreates the original adventure along with additional dialogue and extended cutscenes that add new depth to the overall story. All of this is brought to life with highly-detailed character models, re-recorded audio, increased performance and massively reduced loading times. Find out what it means to be the 'Dragon of Dojima' and relive Kiryu-san's first ever adventure filled with combat, romance, intrigue, karaoke and even bowling. Mad about Japanese gaming culture? Journey to the heart of society in the fifth instalment of the critically-acclaimed Persona series – only on PlayStation 4. Journey to the mystical kingdom of Ding Dong Dell for a new adventure into the world of Ni No Kuni.